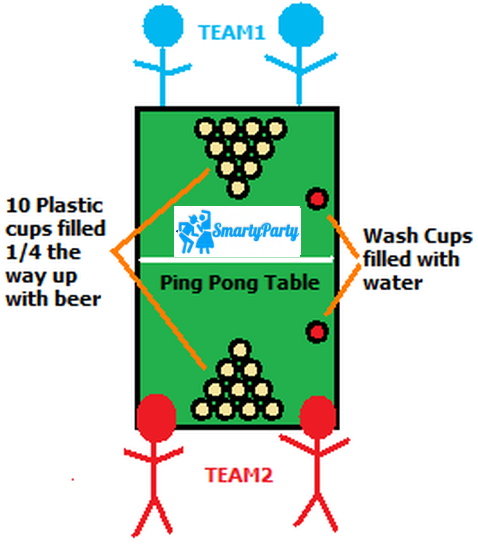 Basically, The aim, as you take turns, is to throw your ping pong ball into the opposing teams cups. Whichever cup your ping pong ball lands in the opposing team has to drink the contents of, that cup then is put to one side, that cup is now out of the game. 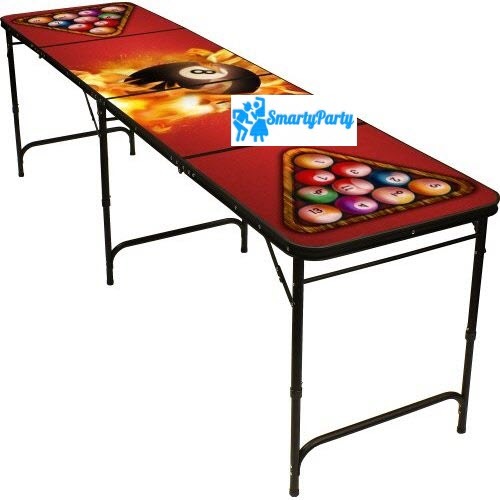 You have your turn then your team mate has his/her turn, then the opposing team will do the same until all of the cups have been removed/consumed from one side of the table, first team to do so wins! !